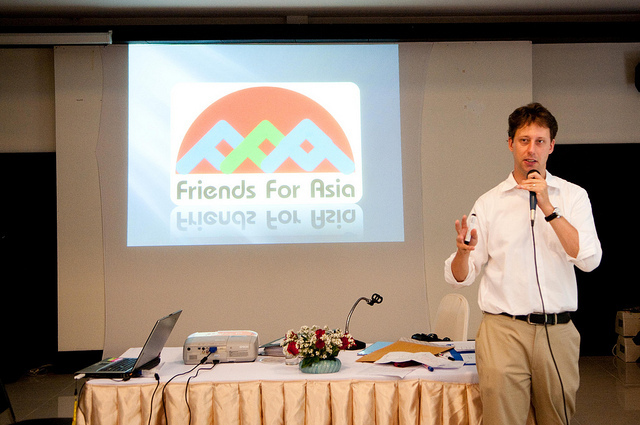 Friends for Asia began operations in 2007, founded by Todd Cikraji, an experienced teacher and Peace Corps Volunteer (Kyrgyzstan and Thailand). Friends for Asia develops international volunteer projects that assist local communities overcome challenges, and provides volunteers with the experience of contributing to those communities as a valued participant. We have hosted over 2,500 volunteers and interns have participated in projects in Bali, Nepal, Thailand and Vietnam. We also work with different international groups that send us groups of volunteers and students to participate in projects in Chiang Mai and Bangkok. The mission of Friends for Asia is twofold. First, we offer an opportunity for people to meaningfully contribute to the improvement of standards of living by building capacity in our host countries. Secondly, we provide committed volunteers to work on projects that benefit the local communities. We have always been an independent organization with no connection to (or support from) any government or religious organization. We also do not operate as a charity, but rather as a professional self-sustaining organization. As such, we require a project fee from our volunteers and interns to help cover the costs involved with providing proper support and arranging quality international volunteer projects and internships. We work hard to keep our fees as low as possible and have some of the lowest volunteer and internship project fees offered throughout Asia. It is important to us that our coordinating staff is made up of highly qualified, well-educated individuals devoted to our volunteer’s needs and the development of our projects. You’ll see our staff regularly, if not every day. We give our volunteers and interns freedom and the opportunity to have an authentic volunteer and internship experience, but we are also here to support them in all areas. Todd Cikraji is the founder and international director of Friends for Asia. He corresponds with all our volunteers and interns throughout the application and booking process. He also keeps in touch with volunteers and interns during their projects in Chiang Mai. Todd is originally from Cleveland, Ohio and has a bachelor’s degree in psychology from the University of Dayton. Before founding Friends for Asia, he was a US Peace Corps Volunteer in Kyrgyzstan and Thailand. Todd also worked at several large schools here in Thailand teaching English as a second language and overseeing the work of other foreign teachers. Todd believes strongly in international volunteerism and has been overwhelmingly impressed with the contribution and work of the volunteers and interns at Friends for Asia. Our Chiang Mai based coordinating staff primarily oversee the operations and projects in our first project site of Chiang Mai, Thailand. However, some of our staff do assist with training and visits to our Bangkok office. Imm – Senior Volunteer and Intern Coordinator – Wanwisa Sirikhampa, nicknamed Imm, was born in Phrae, a small and quiet province in the north of Thailand. 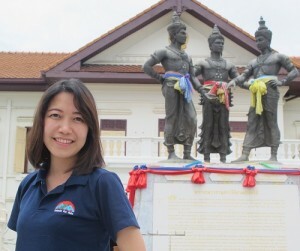 Before working for Friends for Asia, she was an English teacher at a private school in Chiang Mai. Imm has a bachelor’s degree in English Education from Chiang Mai Rajapahat University. Imm has worked with Friends for Asia since 2010. Imm coordinates our Medical Intern, Magazine Intern and Single Mother’s Home Projects. 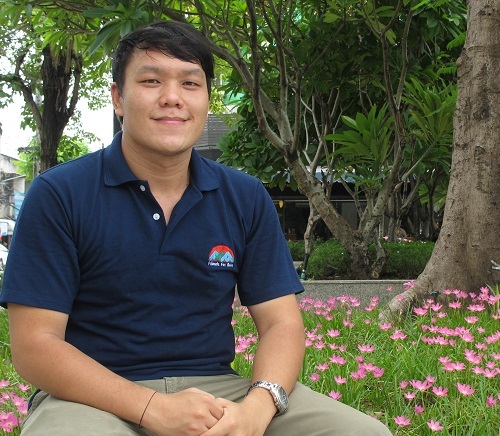 Aun – Senior Volunteer Coordinator – Adisorn Dechaboon, nicknamed Aun was born in Lamphun, Thailand. He has a bachelor’s degree in Japanese language from Chiang Mai Rajaphat University. 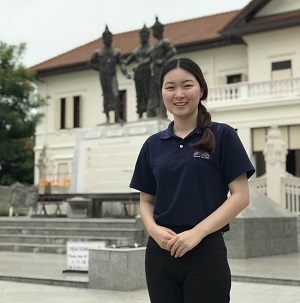 Aun has privately taught Japanese as a foreign language and Thai as a second language to foreigners living in Chiang Mai. 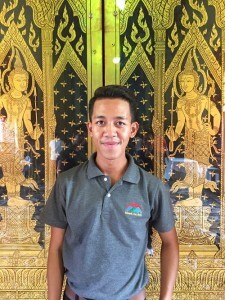 He spent time studying English as a Second Language in New Zealand and has worked for the airlines and as a tour operator and travel agent in Chiang Mai. Aun has worked for Friends for Asia since 2012. Aun coordinates our Elephant Camp and Children’s Home Volunteer Projects. Tae – Senior Volunteer Coordinator – Naphat Kasikitworakul, nicknamed Tae was born in Chiang Mai, Thailand. She has a bachelor’s degree in tourism from Chiang Mai Rajaphat University. Tae has worked in administrative roles with various Chiang Mai based NGOs, and has also lived and worked in the Netherlands. Tae coordinates our Teaching Monks, English Education, International University for Monks and Orphanage Volunteer Projects. Tae has worked with Friends for Asia since 2013. Aor – Chiang Mai Volunteer Coordinator – Jintana Khrueananta, nicknamed Aor was born in Chiang Mai, Thailand. She has a bachelor’s degree in business French from Chiang Mai Rajaphat University. 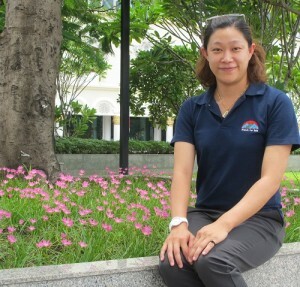 She has worked at various different tourist based business in Chiang Mai. Aor has worked with Friends for Asia since 2015. 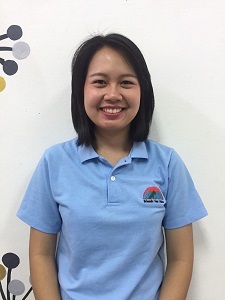 Fon – Chiang Mai Volunteer Coordinator – Anchalee Norruang, nicknamed Fon was born in Chiang Mai, Thailand. She has a bachelor’s degree in political science from Chiang Mai University. Before working with Friends for Asia, Fon lived and worked in the United States. Fon has worked with Friends for Asia since 2017. 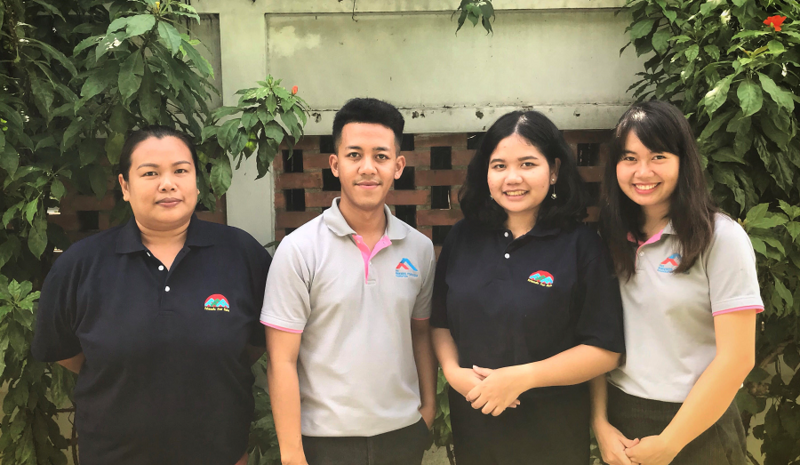 Although our Bangkok staff works primarily in the operation of our Bangkok based programs, they do spend time visiting and helping out in Chiang Mai too. Manong – Volunteer Coordinator – Subil Saree, nicknamed Manong was born in Hat-Yai, a large city in the southern Thai province of Songkhla. Manong is studying international relations. Before working with Friends for Asia, Manong worked in an administrative position in an international clinic in the center of Bangkok. Manong has worked with Friends for Asia since 2015. 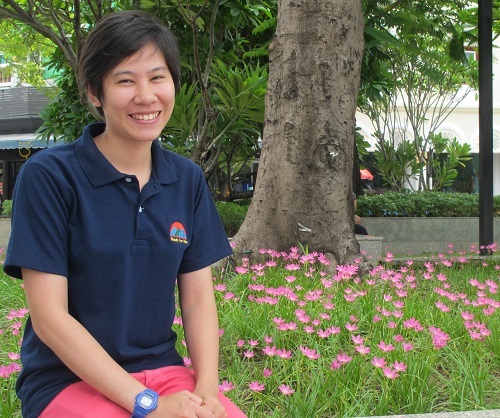 Aom – Volunteer Coordinator- Angsuthorn Kornkrua, nicknamed Aom was born in Uttaradit, Thailand. She has a bachelor’s degree in Archaeology from Silpakorn University. She lived and studied in Australia for two years. Aom has worked with Friends for Asia since 2016. Phuong and his wife Que co-direct our Vietnam volunteer projects. They are Hanoi natives and have worked with thousands of international volunteers and interns. 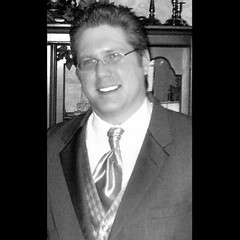 Mike Cikraji – US Based Partner – Mike Cikraji is a limited partner of Friends for Asia, based in our Ohio office. He coordinates aspects of the company’s domestic financial, administrative and legal needs, when necessary. Mike has a bachelor’s and master’s degree in history, and previously worked as a high school teacher. He currently works in industrial quality control, and as a college history instructor.